The following speeches of John Paul II are from his Wednesday Audiences and contain his comments on the Creed. They offer a synopsis about the truth of the Christian faith in God, the creator of heaven and earth. These testimonials enter into a philosophical dialogue about science. Solidly founded on the Biblical data, these catechesis deal with human nature and its relationship with the rest of creation, the topic of the divine providence, as well as evil and angels. During his comments on the Creed, John Paul II explained the content of faith in Jesus Christ. In seven successive audiences, the Holy Father addresses the miracles of Jesus and their role in the history of salvation. During the catechesis, theological aspects of miracles are explored, their value in salvation, and the aspects that concern the relationship between faith and reason. In the latter, the value of miracles and the “appeal of faith” are discussed. 1987-11-18 I Say to You, Arise! 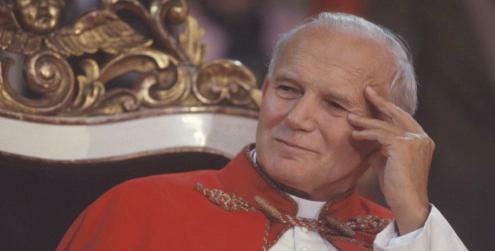 In these audiences, before dealing with the faith article “Believe in God Almighty,” John Paul II presents three speeches dedicated to the notion of God in the context of contemporary thought. The speeches touch on topics of “honesty of intelligence,” the traditional “ways” on the existence of God, and the attitude of scientists towards God. We present a few Speeches and Messages of special interest addressed to the Academy on occasion of its Plenary Sessions or other Study Meetings of its members. We present here a selection of Messages and Speeches delivered to men and women of culture and thought, especially valuable to understand John Paul II's view on the relationship between Christian Revelation and Scientific Culture.